Our Leaflet Dispensers are printed on E-fluted board. The sheets are die cut to shape, glued and supplied packed flat ready for assembly at the point of use. They are available in a range of size to accommodate 1/3A4, A5 and A4 Portrait leaflets. 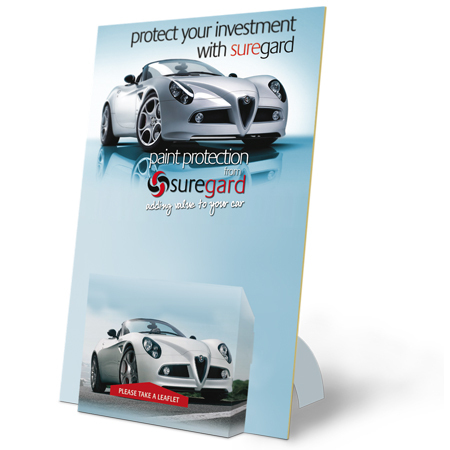 What size of Portrait Leaflets do you wish to Dispense?